Strix Group Plc (LON: KETL), the AIM listed global leader in the design, manufacture and supply of kettle safety controls and other complementary water temperature management components, has today announced the following trading update for the year ended 31 December 2018. Strix has delivered a strong performance across the Group during 2018 and the Board confirms that it expects to report results in line with market expectations for the financial year. The Board also expects to report a net debt position of c.£28 million. Whilst 2018 has seen significant volatility caused by geo-political events including Brexit, USA/China and USA/Turkey trade tensions, the global kettle market still posted growth of c.7% with strong progress in North America, Russia and South East Asia offsetting softening in Europe, the UK and Turkey. During the period, the Group maintained its global market leading share of the kettle controls market at c.38% by volume with the U9 series of controls supporting growth in less regulated markets and ongoing strong performance in the USA offsetting a slight softening within the China domestic market. The Group’s Aqua Optima brand has experienced another strong year of growth following a re-positioning of the brand in the UK market and an increased presence at multiple retailers. The brand has entered into new collaborations, including with Parkrun and TerraCycle, in order to further increase consumer reach and brand recognition. As a result, Aqua Optima has increased its combined brand and private label volume share to over 25% of the UK market. The Board continues to search for new differentiated technologies to enhance the product portfolio in Aqua Optima to drive future growth and support expansion outside of the UK. The Group has continued to progress the relocation of our manufacturing operations in China in the second half of the year. An appropriate site has now been identified near our existing facility and the Group is in the process of finalising an agreement to purchase the land with the local government in the district in which the site is located. The Board anticipates factory construction will begin in the second half of 2019 and will take approximately two years to complete. A further update and guidance will be given with the full year results. Further successful Intellectual Property protection initiatives have also been undertaken to both enforce the Group’s patent rights and, where they have expired, utilise other legal redress such as copyright to take legal action against those that seek to copy its products in order to protect the Group’s revenue streams. The Group will continue to vigorously defend its patent position to ensure that consumers, its customers and its brand are protected. 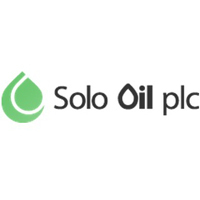 Given the Group’s performance in 2018 and the Board’s confidence in the continued strength of its cash generation, the Board re-confirms its intention to pay total dividends of 7.0p per share in respect of the 2018 financial year, inclusive of the 2.3p per share paid as an interim dividend. The Group will be announcing its results for the year ended 31 December 2018 on Thursday 21 March 2019. An analyst briefing will be held on the day in the City of London. Analysts interested in attending should contact heather.armstrong@investor-focus.co.uk or +44 (0)20 3934 6630. 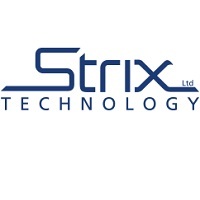 “Strix has achieved another strong performance in line with market expectations. In particular, cashflow generation has been strong which has helped achieve an improved net debt figure, ahead of market expectations. “We have maintained our strong global market position in the face of a competitive market environment, and have been largely unaffected by the uncertainty caused by Brexit and US trade tariffs as a result of our diverse global presence. We have also taken appropriate actions to mitigate future supply risks.